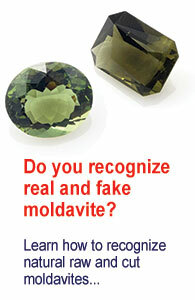 Every moldavite deposit (location) has its own name and some of the names sound really strange. How do they get their names? There is also a recording with a demonstration of pronunciation recorded by a Czech native speaker. A great number of deposits were named after the nearest village or municipality. Sometimes they get their name after a local name for the place. Sometimes these names sound funny or strange even to a native speaker (most moldavites come from the Czech Republic). A little more complicated situation occurs when in one location there are several deposits. Apart from the main name a specifying postscript is added to make the exact place clear. An example is the village of Besednice where several deposits are found. Besednice – Ježkovna Besednice – Hedgehog place In the municipality of Besednice. In the deposit are found (or rather were found) moldavites with a pronounced sculpture thanks to which they are called hedgehogs. What do the names sound like in Czech?